Invariably, I get asked the question by donor-fatigued Canadians: How best can we help Africa? Simply answered, micro-credit is the most effective, flexible, and sustainable way to help lift Africans from the morass of poverty and disease. More than anything, Africans need opportunity rather than charity. Throughout the history of man, no country, no region, no continent has ever developed without commerce and industry. These twin towers of progress, prosperity, and development are seriously lacking in Africa. At the best of times, Africa has the highest unemployment rate in the world, ranging from 60% to 80%. If commerce and industry is sine qua non for progress, prosperity, and development; credit, the availability and accessibility of it is the rocket fuel of commerce and industry. Recently, we are witnesses to the sudden and precipitous world economic melt-down, brought about by money and banking fiasco in the United States. Over night, credit dried up. Blue chip companies started failing into bankruptcies in dominoes effect fashion. Millions of people in the industrialised world began losing their jobs. That’s the power of credit; the sway that credit has over progress and prosperity. You have it, you have everything; you don’t have it, you have nothing but poverty and misery. Africa is in the throes of chaos today because Africans have no access to credit, and for that reason commerce and industry can not be engendered or fostered. Africa can only develop through commerce and industry fuelled by investments in sustainable projects and enterprises. I have traveled the length and breadth of Africa. And everywhere I go, I am confronted by Africans, mostly women. They are not asking for a handout: a dollar to buy food for the day. I am rather presented with viable business plans in either cottage industry or trading. I can attest to the fire in their eyes: the drive to succeed, the eagerness, the ambition. But alas, what is lacking is the start up capital. In all cases, the amount of capital required to kick-start a viable business activity and enterprise ranged from $50 to $1200. And these are repayable loans. All they need is the empowerment opportunity conferred by these “micro” loans to take off to gainful productive economic activity that enables them to regain their basic human dignity, restore their self esteem; make it possible for them to take charge of their lives, and take care of their families. Simply put, it is a system where by small amounts of money are loaned out to individual entrepreneurs, mostly women to either start up a business or expand an existing one. The amount of the loan varies from $50 to about $1500. For example, a woman may need to borrow $100 to be able to travel to the near by big city so that she can buy more provisions to stock up her store in the village. Because of her enhanced financial capacity, she is not only able to buy more products in quantity, but as well more in variety, and cheaper in price. The enhanced capacity leads to increased traffic to her store, more profit. 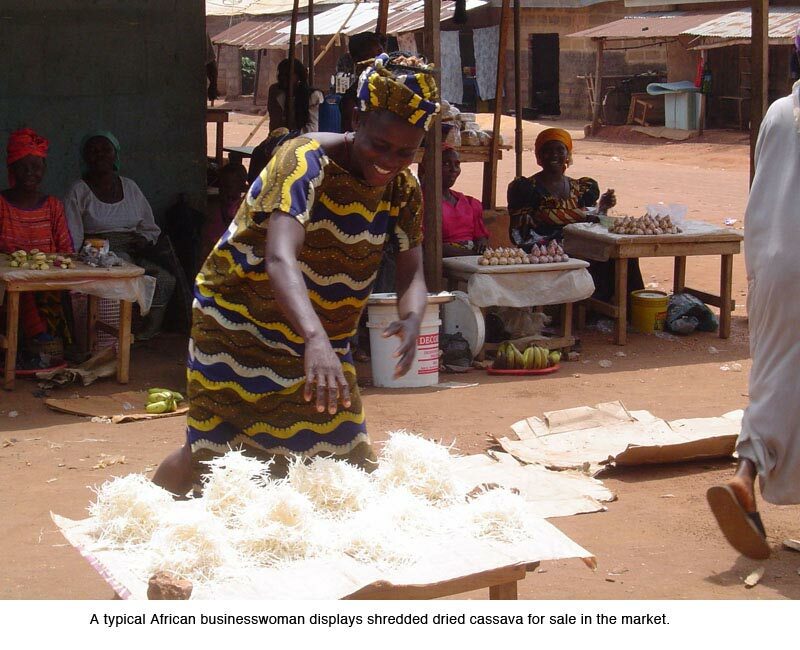 As her business expands she pulls herself out of poverty. She is now able to feed her family well and send her children to school. Apart from providing the endowment of funds to start up the loan system, Africa We Care helps clients horn out their business plans; provides business advice and counselling, encourages and promotes peer support and solidarity among clients so that they all look out for one another. In this way the drive for each and every one to succeed is fostered. One of the most important aspects of the Micro-credit project is the recycling of funds. The recipients of the funds are clients; the funds advanced are loan rather than donations. The loans are re-payable, usually in six months to a year. As the loans are repaid, they are re-loaned to new clients. This process of continuous re-investment produces a multiplier effect on each dollar loaned. Another important aspect of the Micro-credit project is not only the positive impact that it makes in the individual client and her family, but also the ripple effect it creates in the community as a whole. The lion share of the loans is made to women for various reasons. 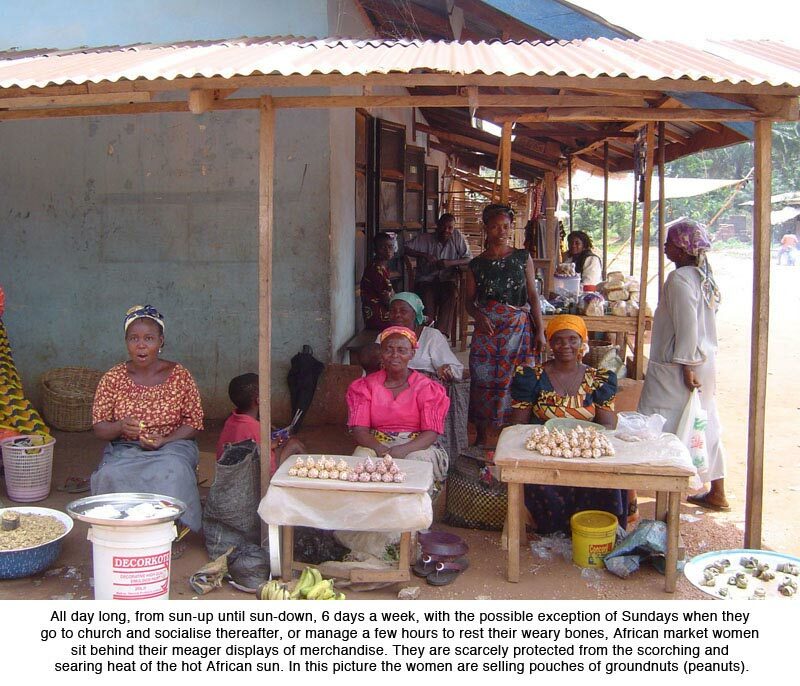 In Africa, the women are the hub of economic activities: they are the bread winners; the market traders; the farmers; the heart and soul of the family and community. Women are more likely to re-invest their earnings in their businesses and their families. 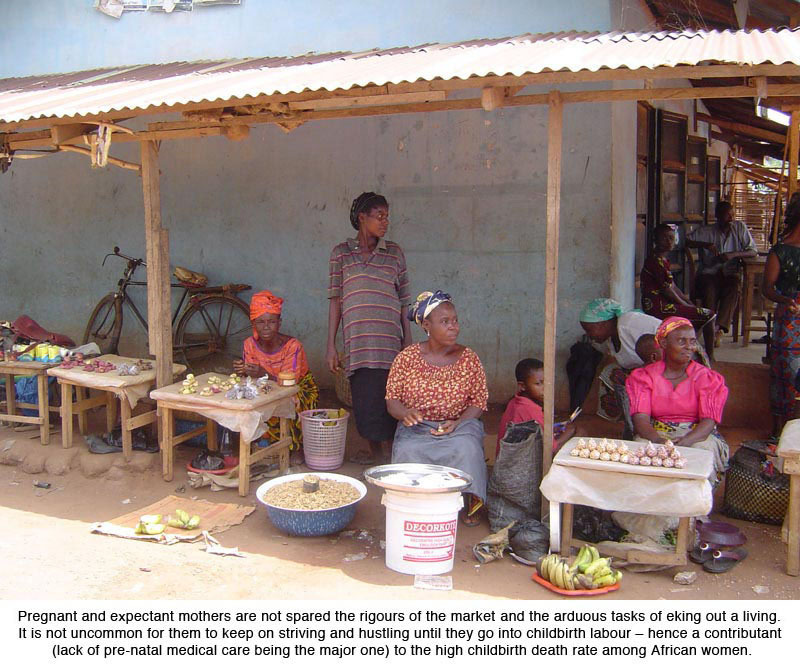 As the micro-businesses progress and prosper, families are lifted up from poverty; the communities benefit. Jobs are created; knowledge is shared; civic participation increases; women become recognized as valuable members of society.